Nicki Carlsen is the co-leader of the firm’s Environment, Land Use & Natural Resources Group. Her practice focuses on land use, environmental compliance and litigation. She has over 25 years of experience with the federal, state and local regulations affecting development projects, including land use planning and subdivision laws, the California Environmental Quality Act (CEQA), California Coastal Act, National Environmental Policy Act (NEPA), Clean Water Act, endangered species acts and cultural resources requirements. Through her representation of industrial, residential and commercial property owners, Nicki can navigate a course of action from project inception to completion. Her land use experience extends to all project entitlements, including general plan amendments, specific plans, development agreements, zone changes, subdivisions, conditional use permits, variances and grading, building and encroachment permits, as well as specialized environmental permits such as coastal development permits, Section 404 permits and “take” permits. She also advises clients regarding proposed regulations at the local, state and federal levels. Nicki advises clients on how to comply with CEQA and NEPA statutes and oversees the adequacy of CEQA and NEPA documents. 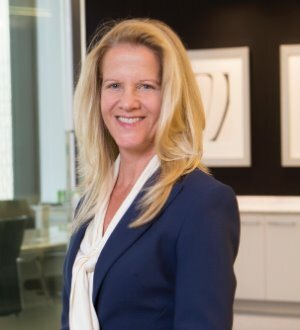 She has successfully defended project approvals in the trial and appellate courts and has also successfully prosecuted actions on behalf of property owners to obtain land use entitlements. Nicki has also been listed in the 2017 edition of The Best Lawyers in America© in the area of Litigation – Land Use and Zoning.